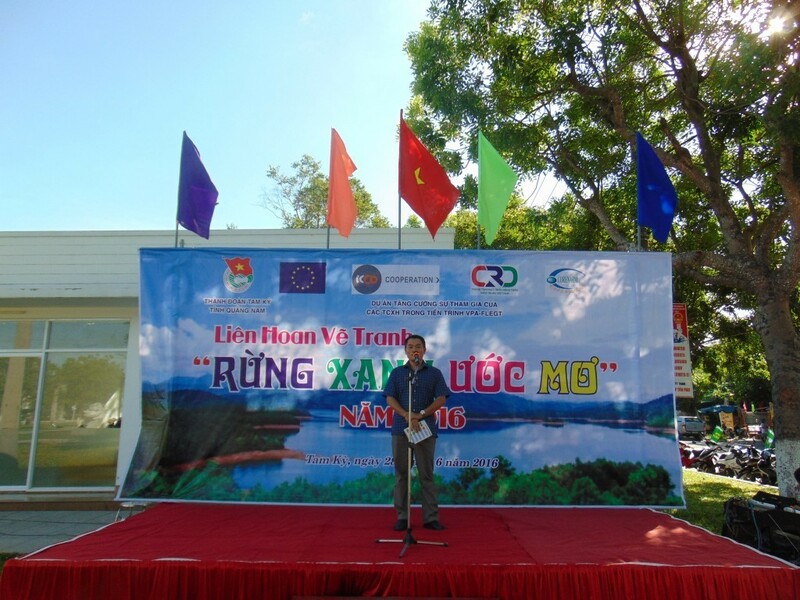 On June 28th, 2016 at the 24/3 Square (Tam Ky city, Quang Nam province), the FLEGT Project in the central region in collaboration with HoChiMinh Communist Youth Union of Tam Ky city ogarnized painting festival on the theme of “Green forest dream”. 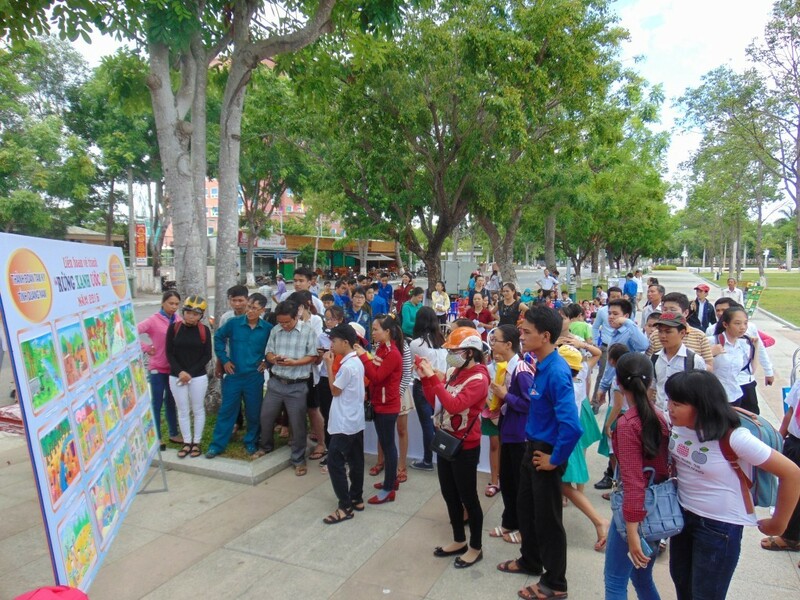 Representing more than 14,000 local children and teenagers, 100 pupils and students from 24 primary and secondary schools participated in the festival. The objective of the festival to the local authorities, forest management units, social organizations as well as children is to raise awareness and to enhance capacity of forest management, biodiversity conservation, natural resource and sustainable ecological protection. The festival is also the enrichment of the artistic life of children in a spirit of “Play and Learn”. Each of the work is their own deepest message to the community, that commonly was “Protecting forest, natural resources, and habitat”. 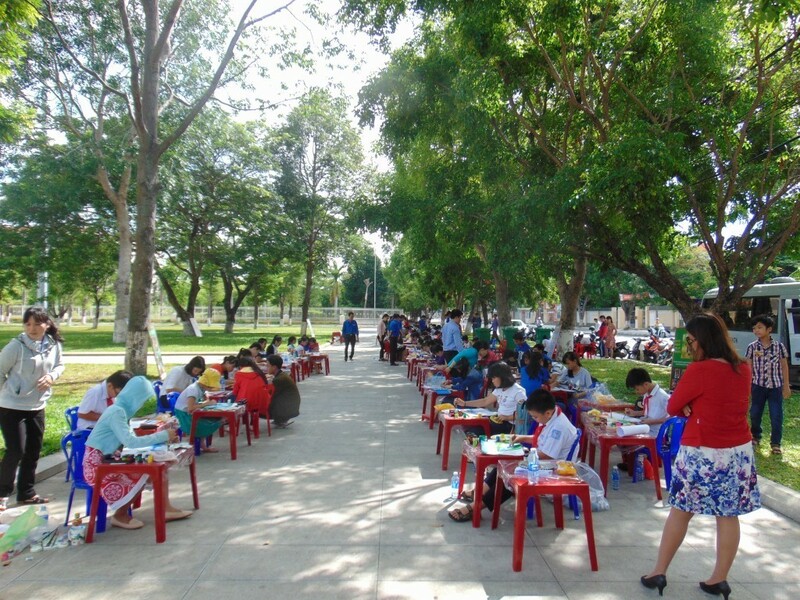 Besides, the festival is a chance to discover new artistic talents for training for provincial art contest. After the festival, organizing committee selected 30 outstanding works for exhibition, of which 2 first prizes, 6 second prizes, 8 third prizes, and 14 consolation prizes. 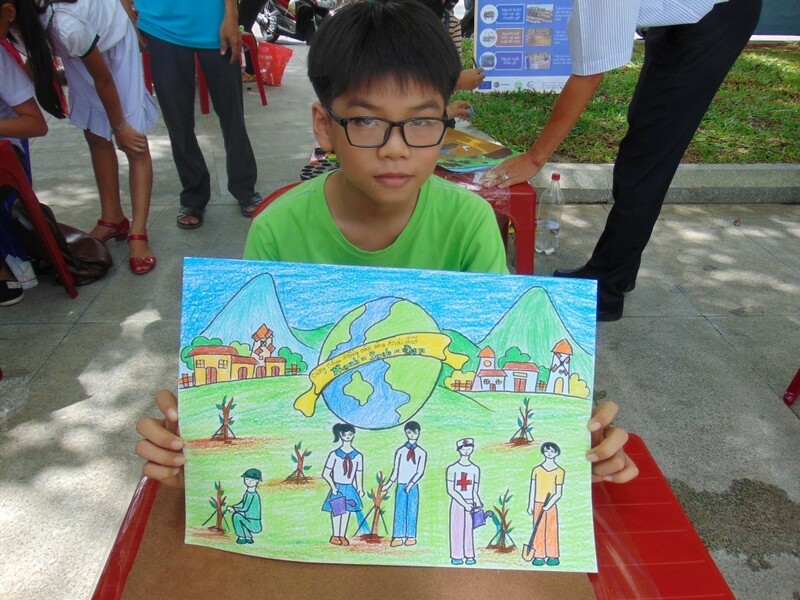 The work “Active protection of forest and green environment ” of Tran Thi Dieu My (Class 5/2, Hung Vuong Primary School) and the work “The freedom of wild beasts” of Nguyen Vu Bao Han (Class 8/7, Nguyen Du Secondary School) won the first prize. 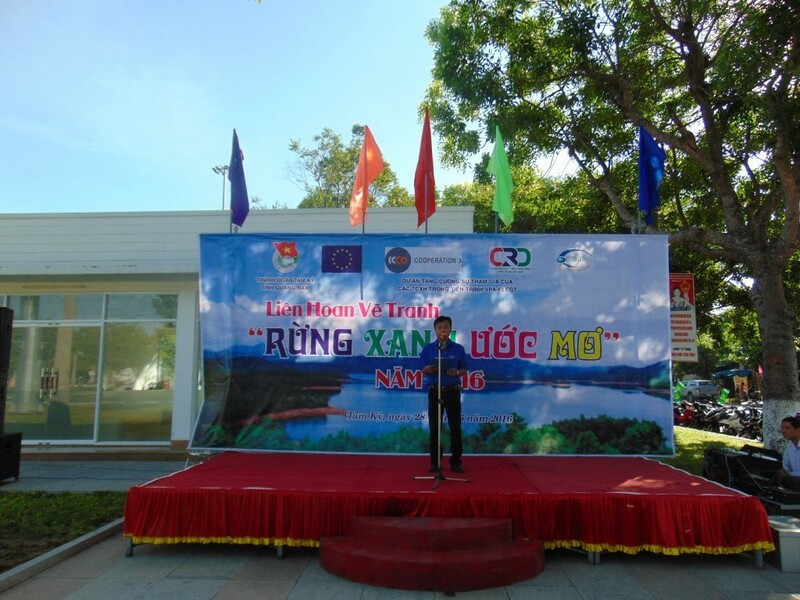 Painting Festival on the theme “Green forest dream” is one of the main activities, which is in the communication campaign of FLEGT project in 2015 – 2016. FLEGT project will use the wining painting for comunication activities in 4 provinces in the central region.